Acceptance and Commitment Therapy (ACT) has a growing therapy population in the UK and was devised by Steven C. Hayes PhD from the United States, and is a revolutionary programme for overcoming stress, anxiety and depression. The principle behind ACT is that many of us get caught in a trap in which the more we strive for happiness the more it escapes us. We also cling to myths – everyone is happy except us, if only we could get rid of negative feelings life would be better, and we should be able to control what we think and feel, all of which make it harder to be emotionally flexible. ACT teaches us to relate to our thoughts in a new way reducing their ability to frighten us and preventing them from having such an influence on our behaviour. It allows us to make room for some of our more unpleasant feelings – those ones that we usually run a mile in the other direction to avoid, and as we make room for them they will seem to bother us less and less. ACT also works on the principle that as humans we rarely spend much time in the here and now – we are constantly worrying about the future or the past and neglect to notice the moment we have. ACT teaches us to connect with the moment and enjoy all that it has to give. In order to make life meaningful we all need to be able to connect with our values – those things that are most important to us – what we would like to stand for in life and an ACT therapist will hep to clarify values, providing you with a clear direction for you life. We can only create the lives that we want by taking action and ACT helps to discover the blocks that many of us put in the way and get us stuck. 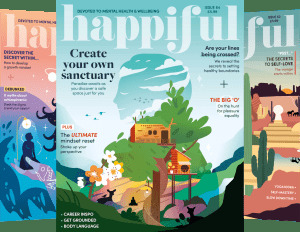 These principles can help you to rise above fear, doubt and uncertainty, break self-defeating habits, help you find fulfilment in your work, build more satisfying relationships and create a richer and more meaningful life – now who wouldn’t want that?